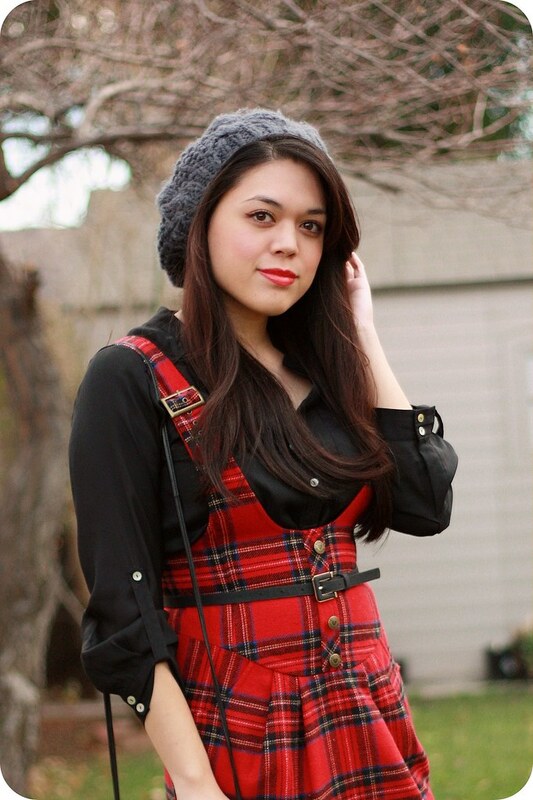 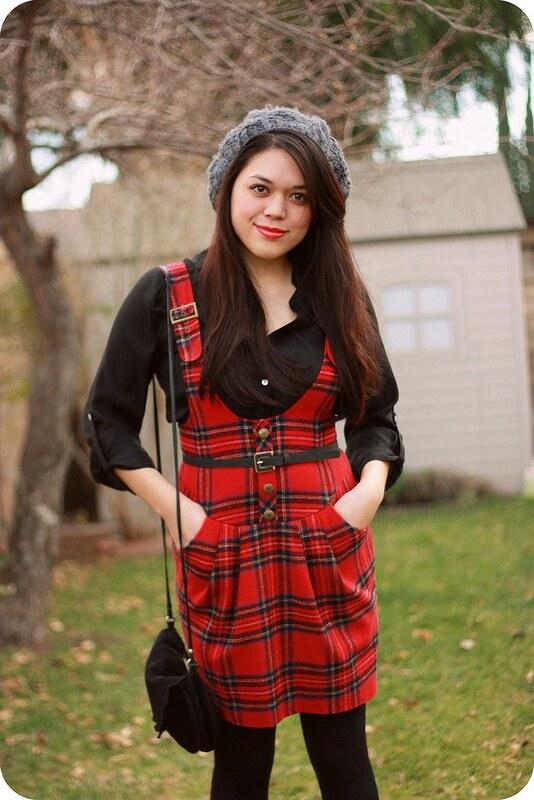 This red jumper by Betsey Johnson is one of my favorites! 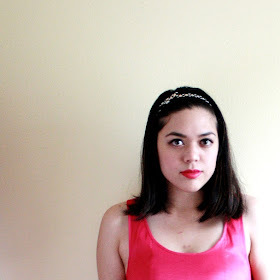 I've had it for a few years and have worn it several times, but it just never made it on the blog (until now). 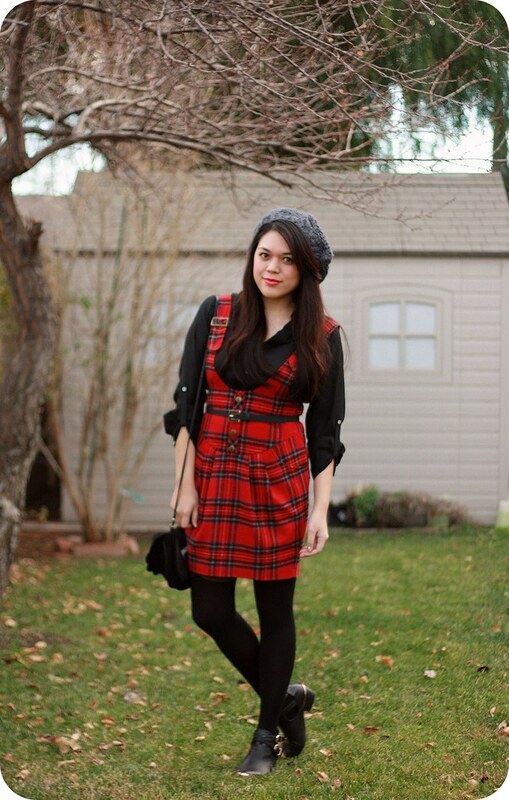 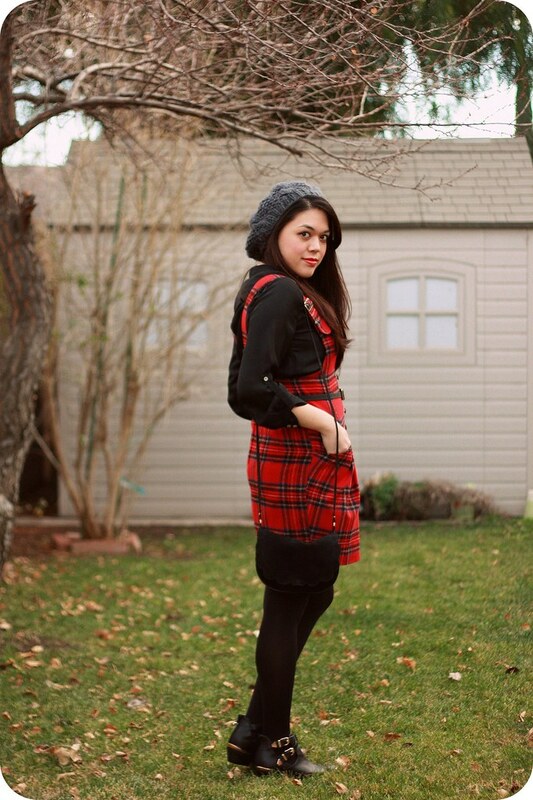 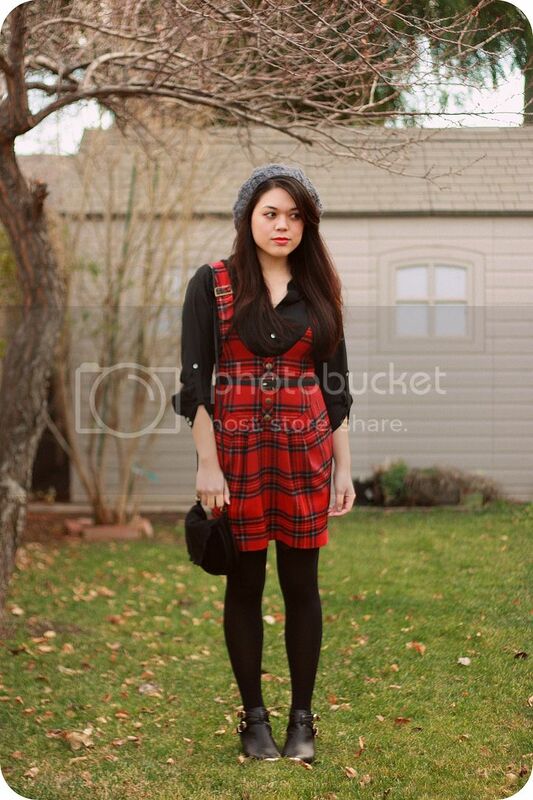 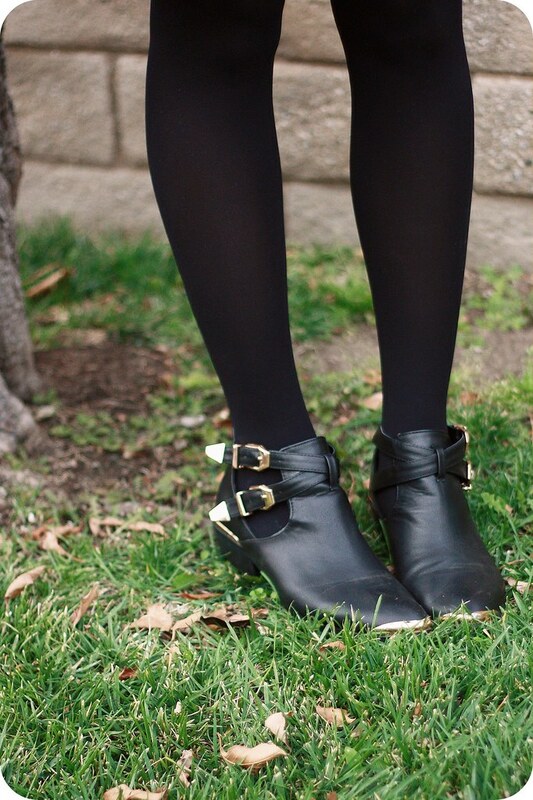 I styled it with a black chiffon blouse, a gray beret, a belt at the waist, tights, and ankle booties.